Attlee Remembered (Oct 7th and 8th 2017) was the first event in our Attlee Nation project. It was a wonderful weekend of debate and knowledge sharing about the life of Clem Attlee, with extroardinary resonance for today. The weekend marked the 50th anniversary of the death of Britain’s greatest Prime Minister. Here are our brilliant contributors. The playlist of all 5 live events is here. 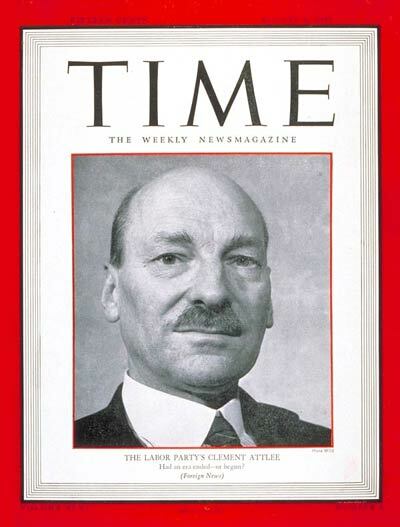 Our message for the weekend was simple: in 1945 Attlee had said Yes We Can and by 1951 was able to say said Yes We Did. Discussions about the challenges he faced in post-war Britain and the subsequent domestic achievements of his government were debated in light of today- social need, political urgency and the need for political courage. The nature of good Labour Party leadership from Keir Hardie through to Jeremy Corbyn; Labour Party manifestos 1945 and 2017 were compared as was the power of media barons then and now; and most interestingly, we explored the profound influence upon Attlee’s political development of his time as a social worker. We can truly say that Britain’s greatest 20th century Prime Minister was a social worker first. And finally, in our closing event ‘In Clem’s Own Words’, we all shared in a very moving evening as we were treated to selected readings of Attlee’s own writings – letters, speeches, poems – read by a wonderful line-up of performers. To have a number of Clem Attlee’s family join us for the night made the event very special indeed. The weekend would not have been possible without our partner venue Sands Films Studios. A huge thank you the wonderful Olivier Stockman and Christine Edzard.